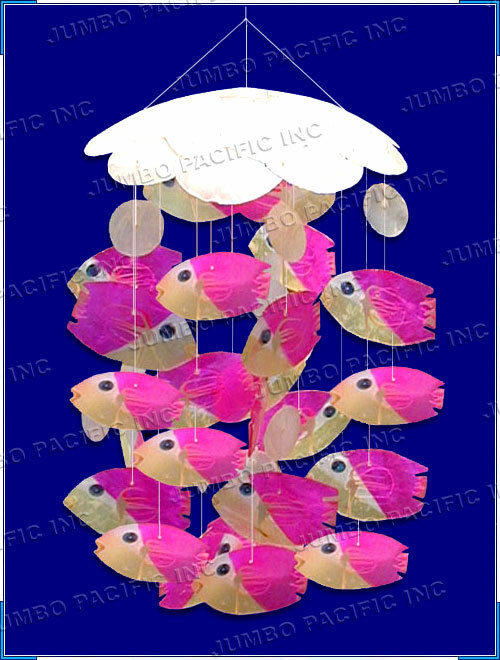 Hang this capiz wind chimes in your terrace, backyard or even under the big tree or any spaces available to hung on. 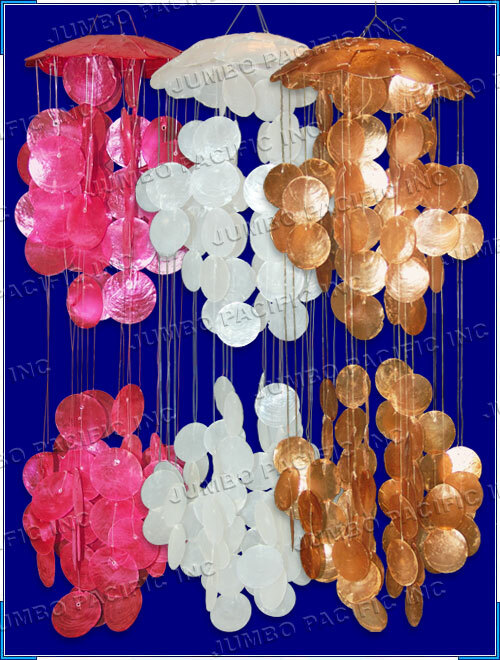 Fell in love to this kind of hanging jewellery architecture. 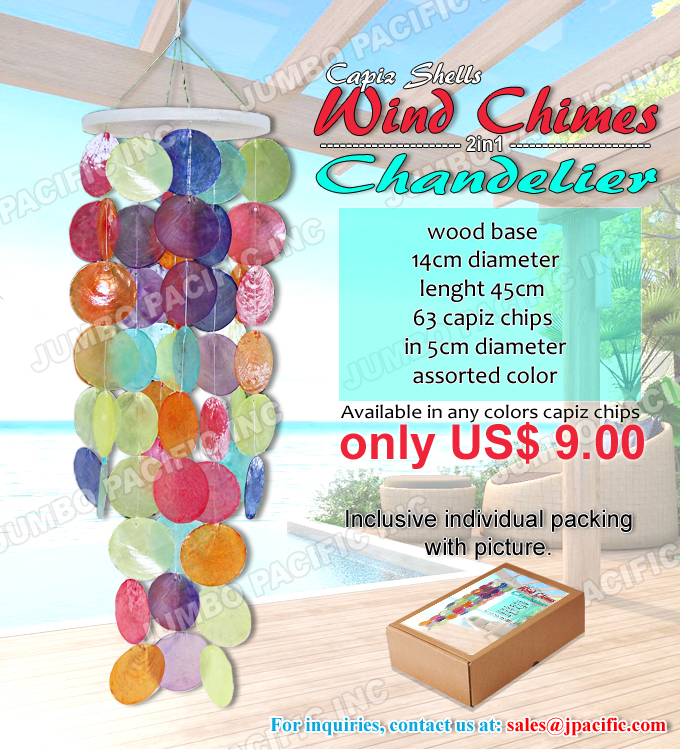 Capiz Shell Wind chimes is decorative arrangement of small pieces of capiz shells typically hung near a door or window so as make a tinkling sound in the breeze. 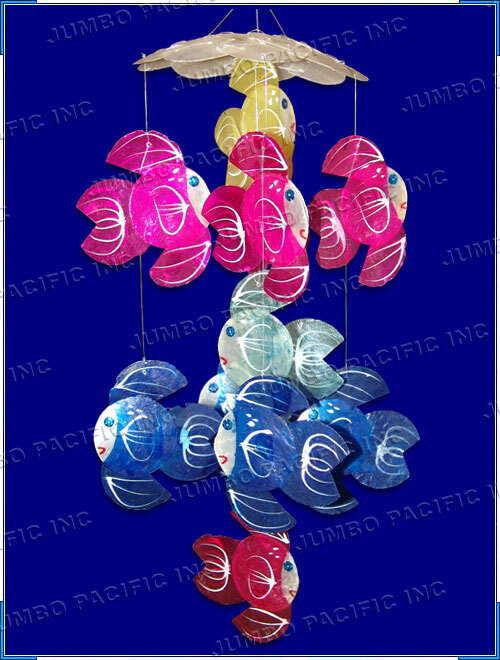 Capiz shell wind chimes produce a melodious series of ringing sounds when it strucked by the air. Allowing the soft tunes play with your ears makes you feel relax and stress free. 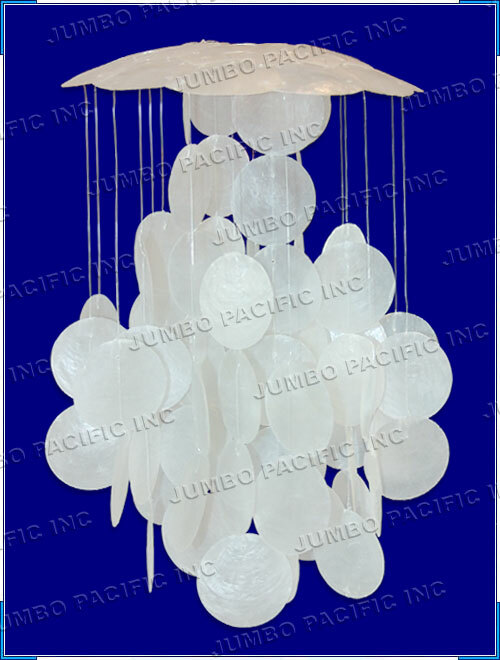 Capiz shell wind chimes beautifully hand-made from the world-class shell crafters. 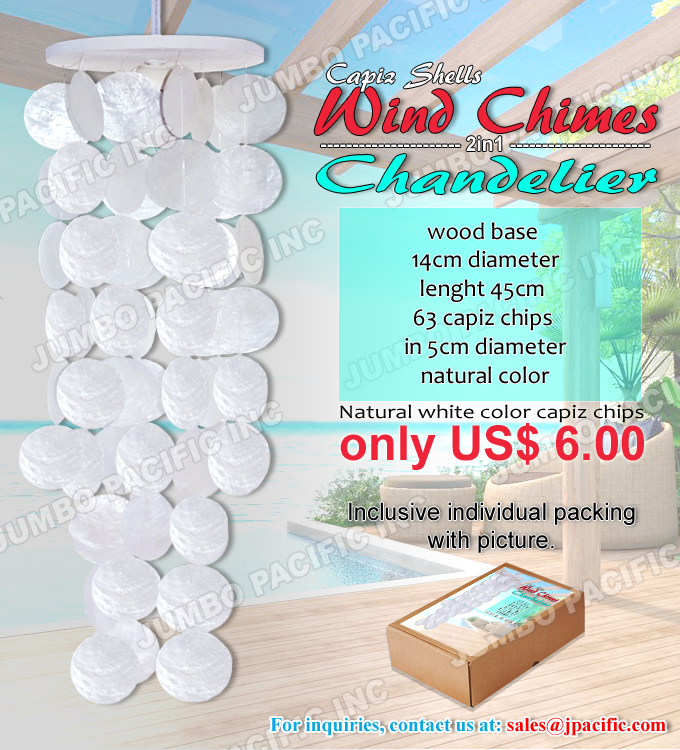 Also available in any size, color and shape. Proudly made in the Philippines.